Millions of people will purchase their mother's day gifts online this year. After a gift is purchased and before it's brought safely inside, there may be some risk in your Mother's Day gift being stolen off your porch. Here's how to protect it. But first, When is Mother's Day in 2018? There are several things you can do to protect your mother's day packages once ordered. To begin with, consider the delivery location you select in the checkout out window of the website you're ordering from. Some people ship orders to their workplace where the business may have a designated and secure parcel/package reception area. Other options include sending it to a family member or friend you trust who is home during the day more often than you. You might also consider sending your Mother's Day gift to an Amazon Locker if it's available or looking into investing in an Amazon Key Home Kit which allows delivery professionals to gain temporary access to unlock your door and leave your package safely inside. Porch bags and parcel boxes both work well for shoppers who don't like the inconvenience of needing to time their delivery when they're home or sending their package to a family or friend's house. If you own a porch bag or parcel box, all that's needed is to leave it on the porch on the day of delivery the delivery person can easily place the delivery inside the container and secure it for your retrieval. 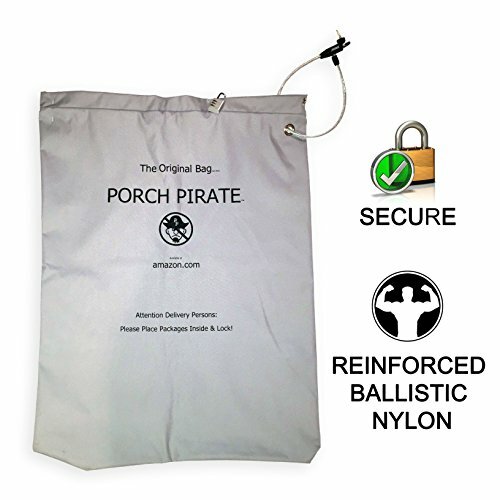 Some of the advantages of a porch bag are that they're relatively inexpensive, especially considering that nearly every online order has a value that exceeds the price of a delivery bag like The Original Porch Pirate Bag. Parcel boxes add an extra layer of weather protection and are a bit more robust than a bag, but tend to be a bit more expensive as well. One advantage of installing a parcel box is that it's a long-term solution to help prevent porch pirates and package theft. There's no need to place the parcel box on your porch every day you're expecting a package, and many of them blend in nicely with your porch and front door surroundings. Delivery professionals from carriers like UPS, USPS, FedEx, and DHL are becoming more familiar with porch bags and parcel boxes as more and more online consumers get and install them at their package delivery spots. Doorbell cameras are becoming an effective and popular solution to preventing package theft. First, porch pirates are beginning to look for cameras on porches their targeting in addition to other visible cameras and deterrents. Although not all porch pirates are behaving with a high degree of logic when they target and steal packages, we've seen some pirates avoid porches when they notice the porch is under camera surveillance. What really enhances the value of doorbell cameras is their ability to allow homeowners to interact with individuals on their doorstep using the built-in camera, mic, and speaker. Here's how it works with something like the Ring Video Doorbell 2. 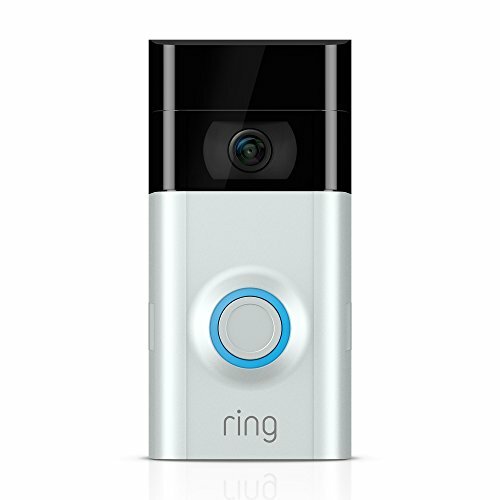 Someone walks to the door where a Ring Video Doorbell 2 is installed. The homeowner then immediately gets a push notification on her smartphone, notifying her that someone is at her doorstep. She answers the door through the app. She then has the ability to have a conversation (see, hear, and talk) with the individual on her porch. 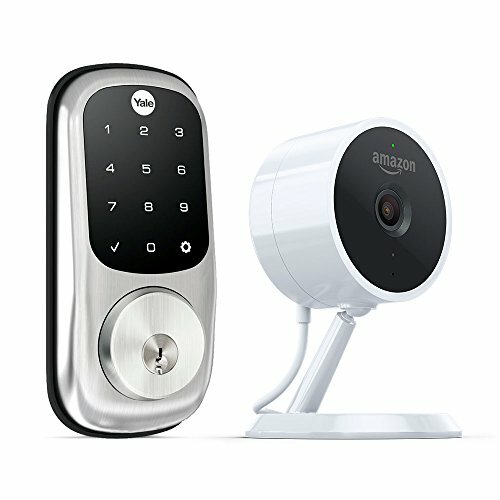 Selecting a smart delivery location, installing a porch bag, parcel box, or some other delivery device to secure your package, and monitoring your porch with a camera like the Ring Video Doorbell 2 are all steps that can take to keep your Mother's Day packages–and future packages–safe from the time they are delivered, until the time you pick them up.